The death of Cde Witness Pasichigare Magunda Mangwende on Saturday February 26, 2005 robbed the nation of a dedicated nationalist, revolutionary and diplomat. Cde Mangwende, who was the Governor and Resident Minister of Harare Metropolitan Province, and ZANU-PF Politburo and Central Committee member, passed away at the Avenues Clinic in Harare after a battle against diabetes. He was 59. He was born on October 15 1946 in the then Charter district (now Chikomba) and grew up in Magunda Village in Marume, Buhera. He did his primary school at Marume and Makumbe Primary Schools in Buhera, completing his studies in 1959. In 1962, he left for Chibi Secondary School where he started secondary education under the auspices of the Dutch Reformed Church. He left Chibi for Zimuto where he did O Level in 1964 and 1965. Between 1966 and 1969, he completed Advanced Level at Goromonzi Government School and had a brief stint at the School of Social Work where he was forced to abandon studies for politics. In 1970, he enrolled at the then University College of Rhodesia, initially to read law but later to read for an honours degree in history. He never completed his studies at this colonial university, the only one at the time. Described by a fellow student and long-time friend, David Karimanzira, as a man “with a history of troubles”, the late Dr Witness Mangwende incarnates the restless and revolting nationalist student spirit of the sixties and seventies. At Chibi where he enrolled for his secondary education, he challenged a white reverend-teacher of the Dutch Reformed Church who took history lessons at the school. Hoping to inculcate white settler values and sense of heroism through education, this “holy” teacher, given as Minaar, told students in his class who included the young Witness that Allan Wilson, the leader of an invading “pioneer” unit, had been “butchered” by African “barbarians”, but not before kneeling for a short prayer that ran: “For what we are about to receive, we thank thee Dear Lord”. Sensing a desire to celebrate icons of colonial invasion, the alert Witness wondered how Africans, the only survivors of that bloody encounter, could narrate Wilson’s last words to white historians when they did not understand the white man’s language. He had to pay dearly by facing instant expulsion. Fortunately, expressions of strong support from fellow students, including Dr Thompson Tsodzo, later to emerge as one of Zimbabwe’s foremost writers, spared Witness what would have passed for his maiden expulsion. Dr Mangwende was thus fortunate to escape with a punishment. Young Witness wondered why such a strict God would not visit a worse curse on Rhodesian whites who killed so wantonly. God must be for the white man, concluded the “subversive” and “heretic” Witness, much to the chagrin of the holy and God-fearing Dutch reverends. For that and much more, they called him “Evil Witness”, with any student agreeing with views equally earning a tag of “a disciple of the evil witness”. Ian Smith’s Unilateral Declaration of Independence (UDI) on 11 November 1965 found Witness at Zimuto Secondary School, not far from Masvingo, then Fort Victoria town which sought to organise against UDI. Once enrolled at the University College of Rhodesia, his fellow students were quick to identify his bravery and strong leadership qualities. They elected him President of the Student Representative Council (SRC). With such visibility and such a powerful student army, Witness grew bolder and bolder, organising students for more daring challenges to the racist colonial regime. His first act of defiance was by way of fierce disagreements with his law lecturers who sought to teach law from the vantage point of the white man. For Witness, this amounted to brainwashing and an attempt to justify continued colonial occupation. His protests against the lecturers continued until he had to be expelled from the Law Faculty for rowdiness. He obliged, quickly enrolling in the Faculty of Arts as an honours student in history. Again, he would be expelled at the instigation of the UDI regime which wanted him off campus in order to effect an arrest. Earlier on, he had led the famous “Pots and Pans” demonstration against the university authorities who routinely discriminated against black lecturers in staff advancement. The latest victim had been Dr Gordon Chavunduka who would be promoted to a professor after that fiery demonstration which made the university a no-go zone for the Rhodesia police. The regime concluded Witness had to be expelled before it could effect an arrest on him. In 1973, it so happened that an excited and overjoyed Ian Smith publicly insulted blacks by calling them tree-loving baboons in a rude song sung in Afrikaans. This ignited the university which erupted into violent demonstrations. Although Witness had been expelled, there was no prize for guessing who had been behind the eruption. Many students were arrested, among them Witness Mangwende and David Karimanzira. After his expulsion and restriction to his rural home, Dr Mangwende would later elude the colonial authorities, crossing into Botswana before proceeding to the United Kingdom to resume his studies at Southampton University and later at the London School of Economics where he earned his doctorate in 1980, after completing his thesis on the “The OAU and the Zimbabwean Question” in 1978. It was the same year he wedded his long time love from Chivi, Eben Yananiso Takavarasha also studying development planning in the United Kingdom at post-graduate level. Soon after, Dr Mangwende would leave for Maputo to play his part in the struggle. “I knew that was his passion, to see Zimbabwe free. Often he felt his studies were a waste of time and I knew I could not stop him”, recalled Amai Mangwende. In Maputo, he was appointed representative of ZANU responsible for the welfare of freedom fighters. 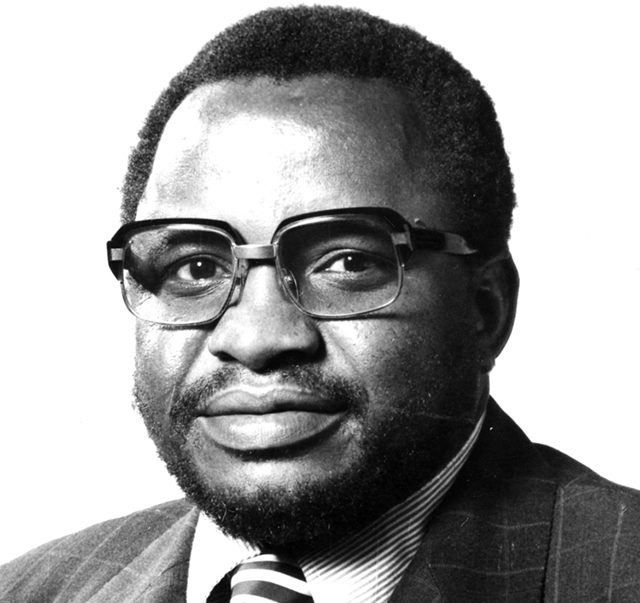 Dr Mangwende was appointed Deputy Minister of Foreign Affairs in 1980 by the then Prime Minister, Cde Robert Mugabe, before being promoted to Foreign Affairs Minister in 1981. As Minister of Foreign Affairs (1981-1988). He is best remembered for his campaign at the United Nations General Assembly for the independence of Namibia. In 1988 Cde Mangwende was appointed Minister of Information, Posts and Telecommunications, a portfolio he held until 1991 when he was reassigned to the Ministry of Lands, Agriculture and Rural Resettlement. In 1994, he was again reassigned to the Ministry of Education and Culture, a position he kept until his reassignment to the new Ministry of Sports. He bounced back in 2002 as the new Minister of Transport and Communications. In February 2004, he was appointed the first Governor and Resident Minister for Harare Metropolitan Province, a position he held until his death. Affectionately known by his friends as “Whiti”, Cde Mangwende was a Member of Parliament since Independence in 1980; Mashonaland East (1980-1985), Chitungwiza (1985-2000) and Non Constituency Member of Parliament (2000-2005). Cde Mangwende left behind a wife Eben Yananiso and a son.